Sail on search engines, Evolve consistently, Out-perform everyone! If you are running an online business that intends to churn out leads through digital platforms and online mediums then you might have come across the term SEO. Search Engine Optimization encompasses a broad range of tools and techniques that could prove to be your survival kit while battling your way towards the top tiers of the search results. To look good and to create an impression on others, we often dress up and present ourselves uniquely. By being our best we manage to attract others and the same principle works in SEO albeit in a bit different way. Keyword optimization, which is the most basic SEO tool, uses the set of keywords that not only relate to your business but also resonate with the potential customers and clients. In the current scenario, SEO involves the optimization of social media profiles and incorporates all the finer aspects of digital marketing as well. 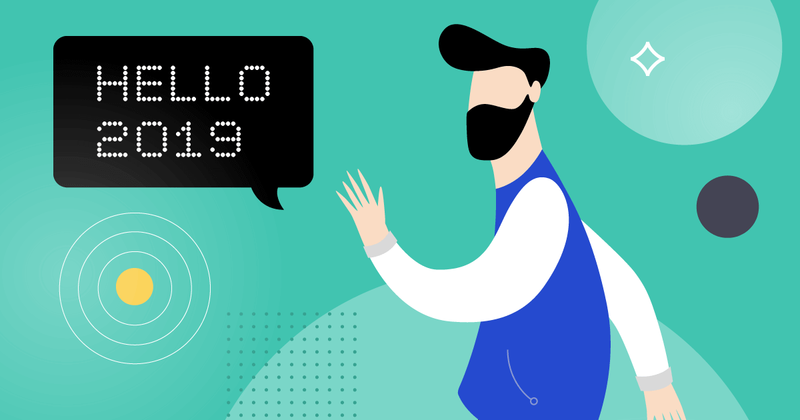 Content marketing, link building and innovative SERP techniques like optimization of quick answers and snippets are some of the latest SEO trends that will define the future of SEO experts and gurus in 2019. Today, we will take a brief look at the evolving SEO tools, key benefits of SEO and SEO techniques that will provide long term returns for your business. This question might have sounded logical if someone would have asked it a couple of decades back when the concept of SEO was still in nascent stage and marketers had no clue how impactful the online channels would be in the future. 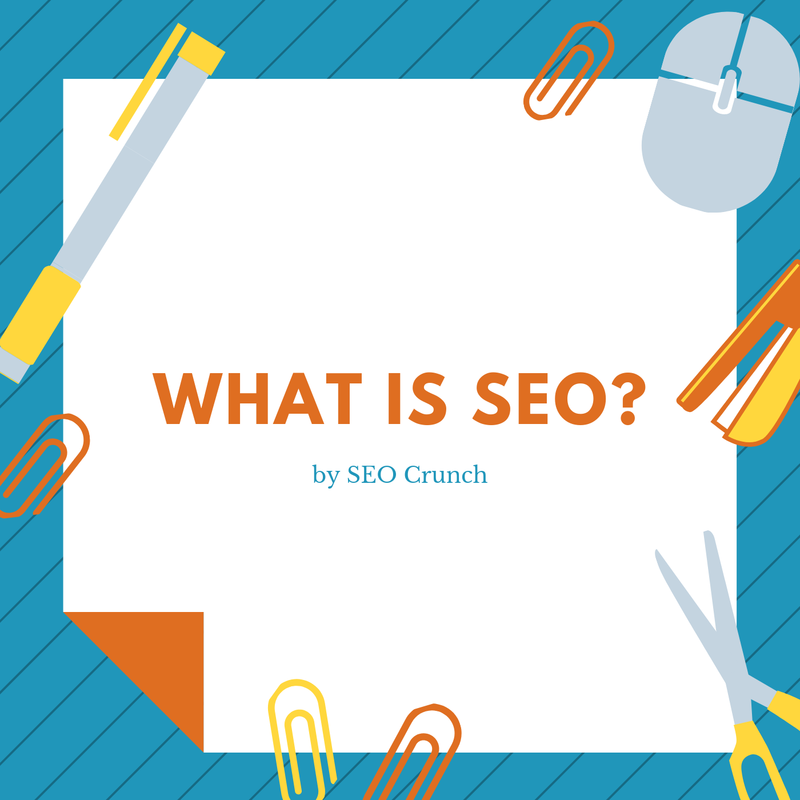 However, if someone is riddled with this question today, it simply means that he or she is not observing internet as a market or in other words they will simply fail if they try to take their business on digital platforms without implementing SEO techniques. We all know the impact of digitalization and internet on today’s generation. There is hardly a thing they will buy without researching it enough on the internet. If your website ranks in the search results, you will naturally gain more visitors and even if you are not selling products on your portal, the accumulated traffic or user database will help you gain more adverts and earning opportunities. Some of you might say that I do not want to gain through Google ads and online selling but only wish to use digital footprints to grow my business. However, for that too you need a strong user database that could be only gathered by propelling your website on the search engine results. SEO experts use two types of techniques to improve your search engine rankings which can be broadly classified into organic methods and paid tools. Organic search results are based on what a user types on his/her keyboard. Therefore, they are natural, unpaid and risk-free as you are not using black hat techniques to boost your website’s rankings. On the other hand, paid search results are achieved using paid tools that advertise your website on the top of the search results. As a result, they are pricey, risky and sometimes do not directly relate to the keywords typed by the users. They are riskier because overuse of paid tools can get your website blocked by the search engine. Also, a smart user will understand the difference between organic and paid results and will tend to ignore the paid results particularly if they do not match his/her search criteria. 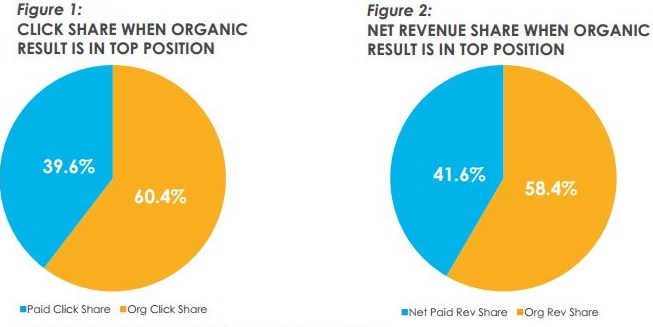 Paid tools are effective where direct selling is involved but organic methods derive better results in the long run because they can only be achieved by quality content and smart deployment of digital mediums. To understand it more clearly let us take an example. Suppose that a user has searched ‘best vegan bakers in U.S’ and your paid tools have earned you a spot in the search results but vegan cakes are not a part of your menu. Naturally, you will fail to make any profit and it can also create a negative impression of your brand in the minds of the visitors. Traditional SEO techniques like keyword research, quality content, backlinking your website on social media channels like Facebook, Twitter, LinkedIn, etc. are still very effective and they will certainly help you sustain your website’s position in the search rankings. However, to be effective in the long run and to improve your search engine rankings you will have to invent new ideas as well. The use of voice search and image search is rapidly increasing and to keep up with this demand of the millennials, the website owners will also have to focus on optimizing their content based on voice and image search. People find it amusing to talk to a virtual assistant rather than typing and if you start posting relevant images on platforms like Google, Facebook, Amazon, etc. chances of your image getting clicked and followed back to your website improves a lot. As a result, you are able to draw huge traffic to your website which will gradually reflect in your search engine rankings. 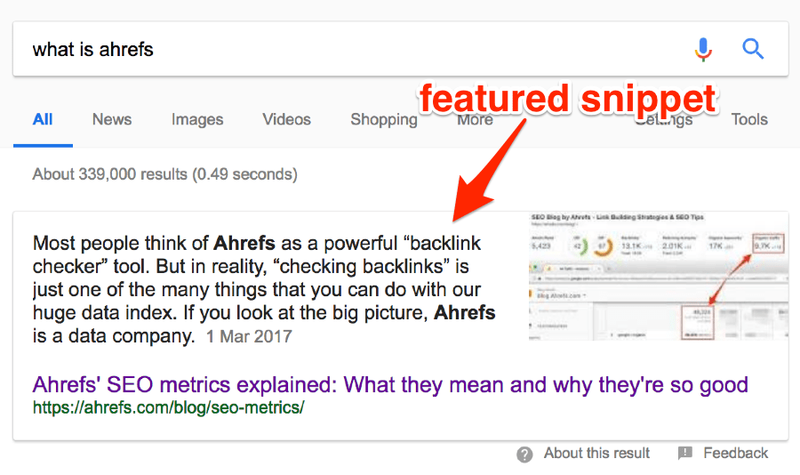 A snippet or featured snippet is one aspect of the search results that have been ignored for too long. Snippets are nothing but the search results that a search engine produces when a user types a particular keyword or query. A recent study made on the Google search results exposed the fact that more than 30 percent of the search results reflect attractive snippets at the top of the search engines even for general keyword searches. Snippets need not to carry only the title, information of a website and the posted date of the article but you can also put small images below the titles to make them appear more rich and interesting. Snippets with images tend to get more clicked and this is certainly where you can make an improvement this year. Link building can be defined as attracting traffic on your website by posting the links of your business on affiliated sites, social media pages, groups, and much more. This concept has been around from quite some time now and certainly is one the most reliable methods to improve your search engine rankings. However, if you are thinking for the future you must try to establish connections and links that are more related to your business and which also add some value to your products and services. Establishing business tie-ups with social media partners will give you great insights on link building and social engineering but everyone cannot afford that. If you are a start-up, you can make use of guest posts, build links on content rich blogs and fixing broken links might solve your problem. Click here to learn more about creating backlinks. Well-Written content will naturally attract more visitors and will also help you to gain loyal readers. Bloggers merge the power of content writing and keyword research to a good effect and due to this, you can see blogs doing much better than other sites when it comes to search results. However, meaningless keyword stuffing should be avoided as it is not lucrative in the long run. Readers get frustrated when they feel that the information is less relevant or merely a wordplay. Google takes site ratings seriously and if the users do not find your blogs and content useful they will naturally vote it down and this will affect your search rankings in a negative way. Most of us are not aware of the fact that keywords rank differently on mobile than on a computer. This can prove to be vital, especially when most of your customers use cellular devices more than laptops or desktops. Also, more than 50 percent of the traffic is generated through mobile devices and therefore businesses have to focus on mobile optimization and mobile branding. Local SEO is the term used when a user wants information about products, places or services which are nearby to his/her location. For example, if you are traveling somewhere and need room to stay, you will search the hotels based on that specific location. Here’s where local SEO comes into play and we see that the businesses which are marketed according to the local SERP listings succeed tremendously. 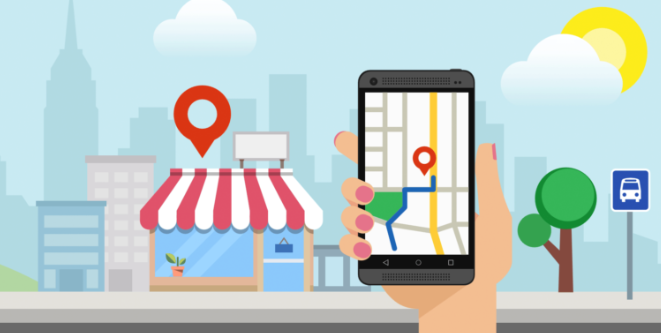 Local SEO and mobile optimization are closely connected to each other as a person will make use of his/her mobile device more often when he seeks a local product or service. Localizing a website — This is a popular practice where a local service provider includes the name of his city or country to make his website appear in the search listings when a user searches for a specific location. Citations — If your business is listed on the business directories and other sites that provide citations then it will gradually make your website rank better. However, only adding an address, name of your business etc. will not prove to be enough as you will also have to add some useful information to attract traffic. Reviews — User reviews matter the most when you are marketing your services online and therefore honest and good reviews can help you climb the SEO ladder to some extent. Everyone claims to be an expert of SEO but a very few of them actually understand the true meaning and value of it. There are so many SEO experts in the market and most of them are beginners. Therefore, it is natural to get conflicting views and suggestions on the same problem. It is also difficult to examine the true results of a particular move because everything you do seems to be working in your favor. This leads to confusion and you are not able to gauge the effectiveness of an SEO strategy or idea in particular. However, you can neglect the common mistakes made by the SEO practitioners so that you can sail your website towards the shore more easily. It is an age-old mistake that is spoiling the reputation of both SEO experts and digital marketers. Focussing on one keyword seems to be a lame idea especially because each one is thinking differently and uses different keywords to search. Therefore, it will be wiser to optimize your web pages on multiple keywords and also do not forget to think about keyword topics that incorporate a wide range of relevant and frequently searched terms. Instead of thinking on new topics you can pick some of your dated content and revise it according to the latest keywords and concepts. Exciting experience plays a big role in attracting the visitors and helps to keep them glued to your site. One of the factors which spoil the user experience is slow speed and therefore do not forget to fix the technical issues of your website while implementing SEO techniques. 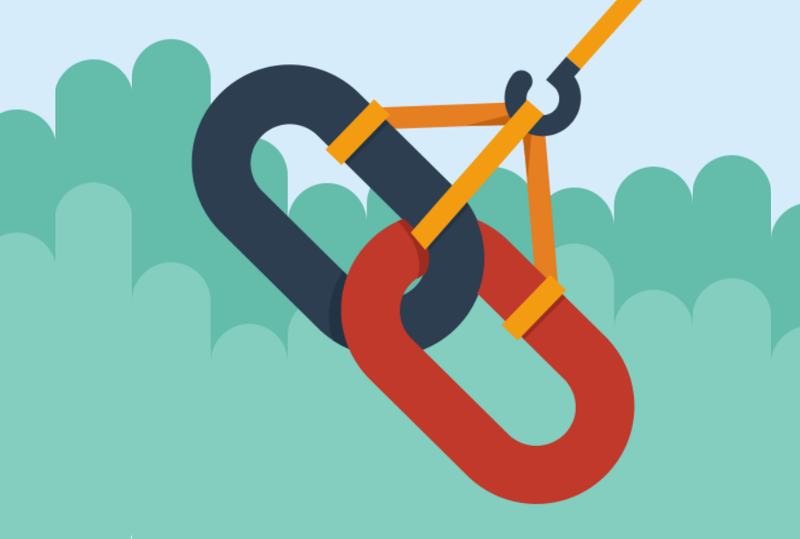 While most of the SEO practitioners are focussing on external backlinks, you can think differently and introduce internal linking in your web pages to improve their rankings as well. Google is still the key player amongst the search engines but other search engines cannot be ignored and therefore you will have to optimize your content as per these search engines as well. Most of the SEO experts will tell you about different optimization techniques and methods but make sure that all of that is going to pay you rewards as well. Different kinds of businesses require different SEO techniques and for that, you will need an experienced digital marketer who has a deep understanding of all the SEO concepts and ideas.